The Academic Staff Union of Universities says that it will not relinquish its efforts to rehabilitate the university system in the country, especially in the welfare of its members. The national union president, Professor Biodun Ogunyemi, announced this in an interview with Nigeria news agency on Tuesday in Lagos. In his opinion, no meaningful development will be achieved if the government fails to bring education issues to the front to achieve global accounting and competitiveness. Ogunyemi said that the government's willingness to develop education in the country, especially the university system, is worrisome. "We are very saddened by how the government is implementing the various agreements and memorandum of understanding (MoU) that it has concluded with us. "We continued to focus and commit ourselves to keeping our own side, just as we were patient. "Given all these things, we still discover that the government does not seem to care about what could happen, and so we categorically declare that we will not hesitate to take the necessary measures to get the government to us in our struggle to revitalize our universities. 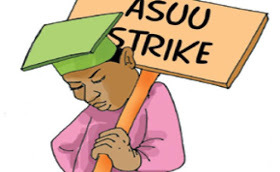 "Under this premise, we call on the government to take immediate and active steps to restore the much-needed mental health in our university system and the process of renegotiating with the union to avert any action that might upset the academic calendar of Nigerian Universities, "he said. He said that just like the Nigeria Labor Congress, the union could not be held accountable for any action if the government failed to take the necessary action. According to him, the NLC had called on the government to improve the wages of Nigerian workers after making several agreements with him, which, he said, are similar to those of the ASUU. "